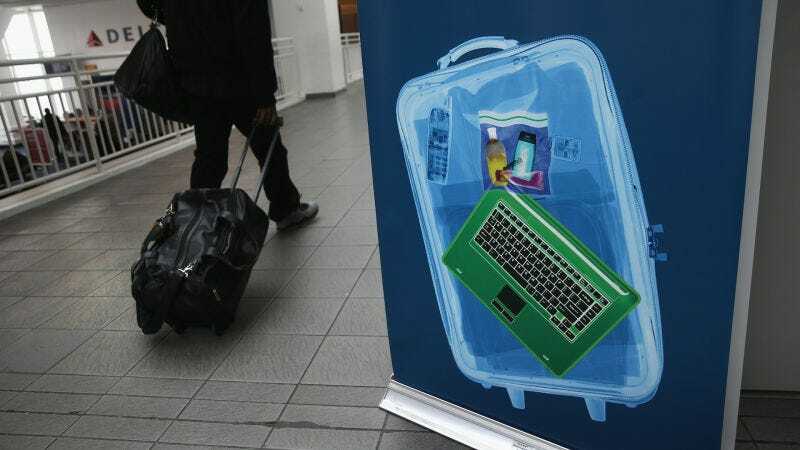 The DHS announced on Wednesday that it has now entirely lifted the four-month ban on laptops (and other large electronics) in hand luggage flying in from specific Middle Eastern and North African airports. The ban had been lifted for three major airlines (Etihad, Emirates and Turkish Airlines) earlier this month. David Lapan, a spokesman for the DHS, said the ban was lifted due to additional security measures that have been issued to all airlines and airports serving as last points of departure to the US around the world. Secretary of Homeland Security John F. Kelly said at the Aspen Security Forum on Wednesday that top priorities for the DHS include raising global aviation security standards. The ban, which began in March, was reportedly introduced in response to threats by terrorist organizations seeking to hide explosives in consumer electronics and smuggle them onto planes. It ignited controversy, however, as it was specific to Middle-Eastern airports and airlines, making the ban reminiscent of President Trump’s executive order against immigrants back in January. King Khalid International Airport in Saudi Arabia was the last airport to be taken off the ban list. Other cities that were on the ban list include Qatar, Kuwait, United Arab Emirates, Turkey, Jordan, Egypt, and Morocco.